1. 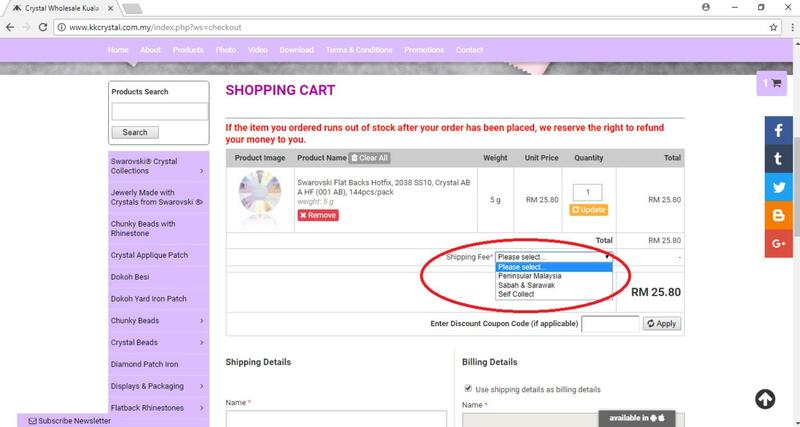 To add items in your cart, click on “Add to Cart” for the item you wish to purchase. 2. To change the quantity of the item, change the number in the box under the "Quantity" column. 3. 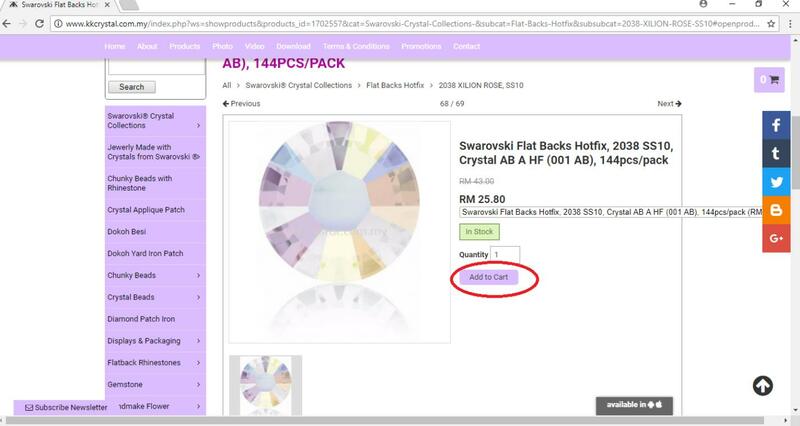 To review the items in your cart, click on the located at the top right of the page. 4. Review your order at the Cart Page. 5. 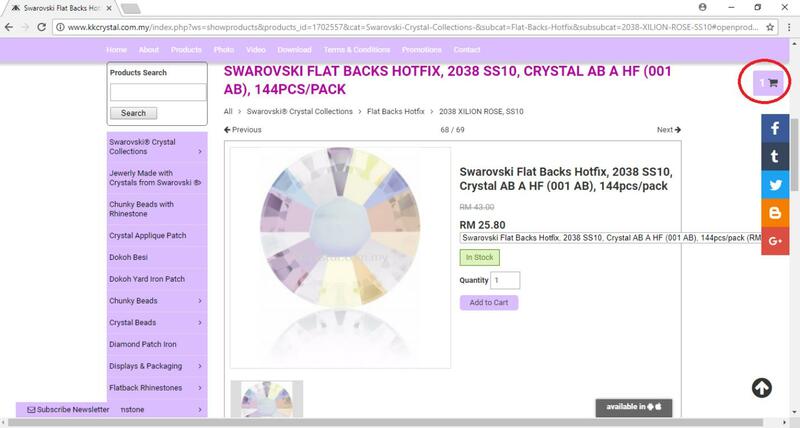 Once you are ready to place the order, click on ‘Checkout’. 6. Click on 'Shipping Fee' to select delivery area in order to confirm shipping fee charged. 7. 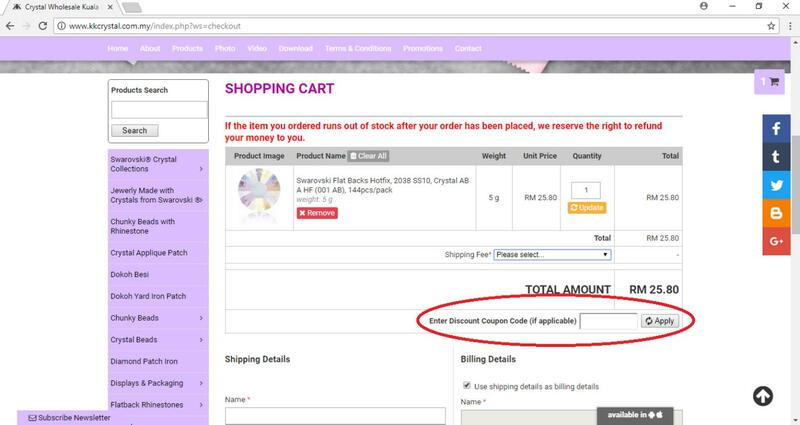 If you have an applicable ‘Discount Coupon Code’, enter it and click on ‘Apply’. The total price will be updated with the discount. 8. 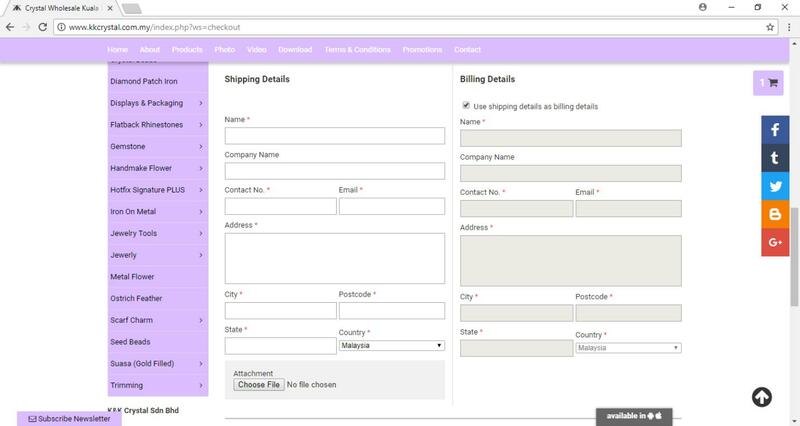 Fill in all necessary details for your shipping details and billing details (NO PO BOX). 9. 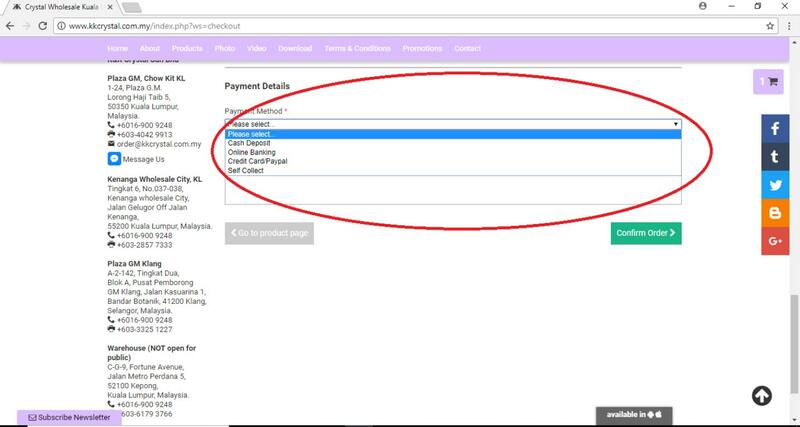 Click on ‘Please Select’ to choose your preferred payment method. 10. 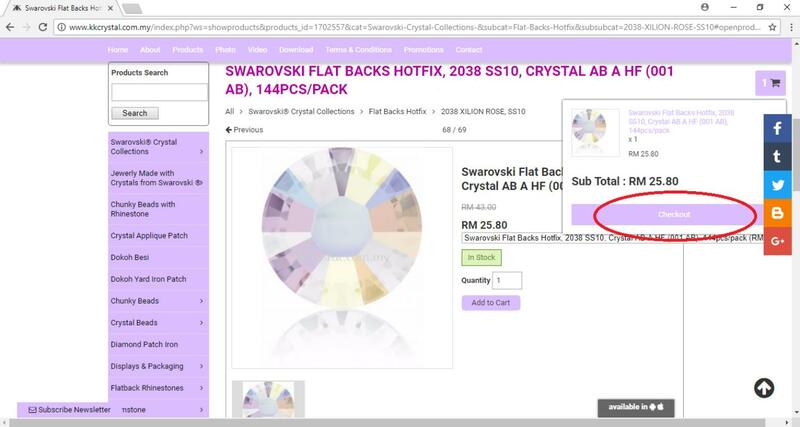 Please review your orders again and total amount before click “Confirm Order”. 11. You will receive a confirmation email shortly after you have placed your order. 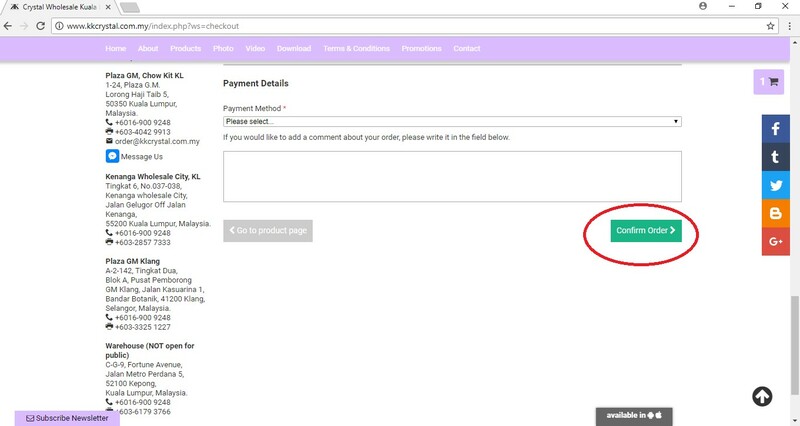 Your order is not confirmed until payment is made.